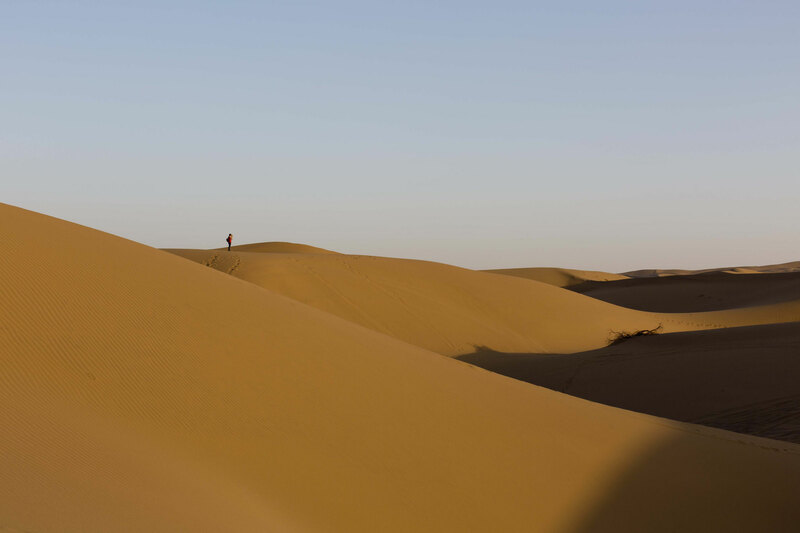 Never before have I seen something as beautiful as the Maranjab desert. I'm a desert virgin. My reaction is typical for a European desert virgin: my mouth catches flies. 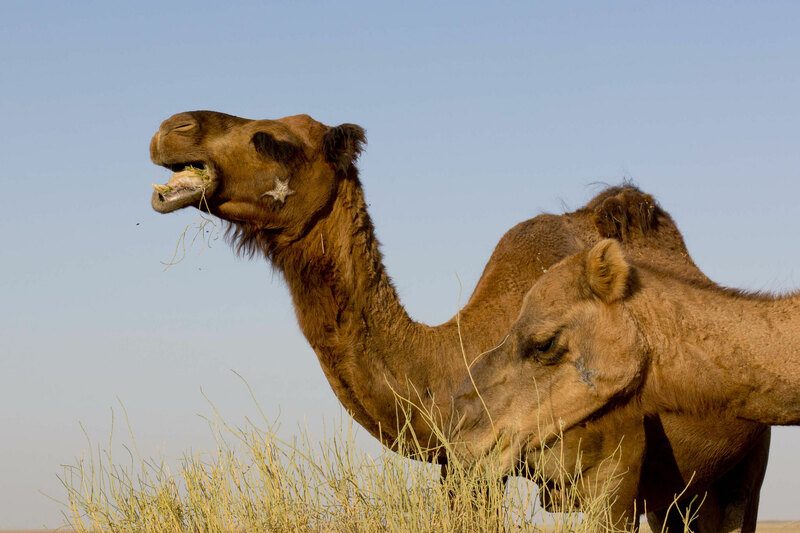 The yellow sand and the wild dromedaries, normality here, are like out of a dream to me. I realise for the first time that the desert is not one thing. 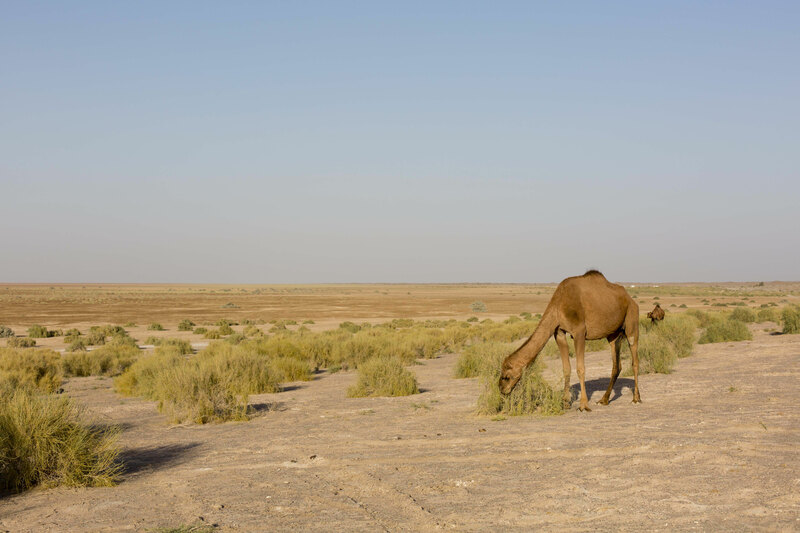 The landscape slowly changes from steppe to stone desert and only then to the sandy dunes. 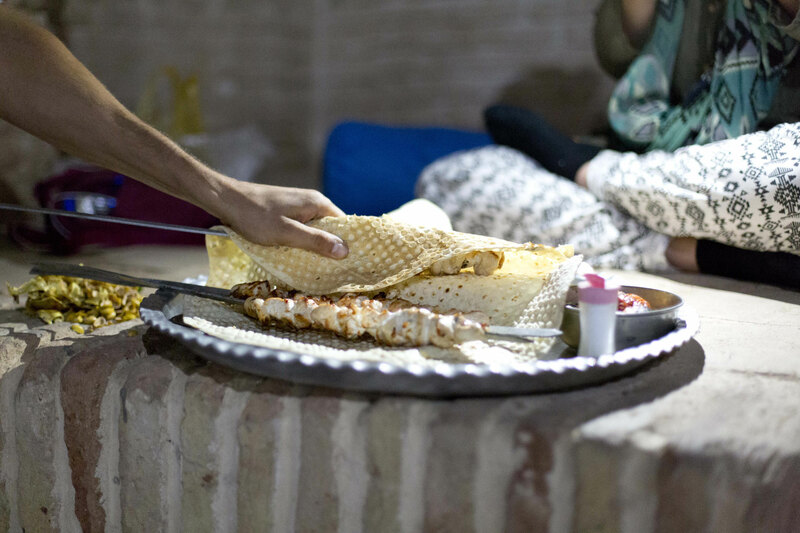 We spend the night in a caravansarai and a pleasant evening around the campfire with a group of young Iranians from Bandar Abbas. They were enjoying their freedom in the desert. We, two women and one man, joined them. As soon as a man is present, the hospitality of the Iranians knows no bounds. It's like we carry some weird parasite. The boys from the south had a fantastic playlist that comes out of their jeep borrowed from one of their fathers. We drank tea, and for a brief moment, it's as if everything was fine. 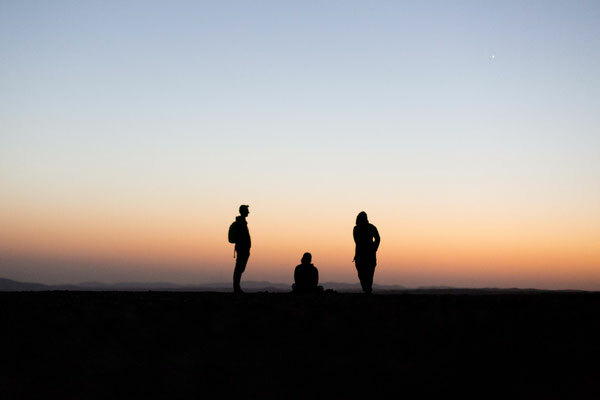 In the morning, we get up before sunrise to photograph the desert awakening. 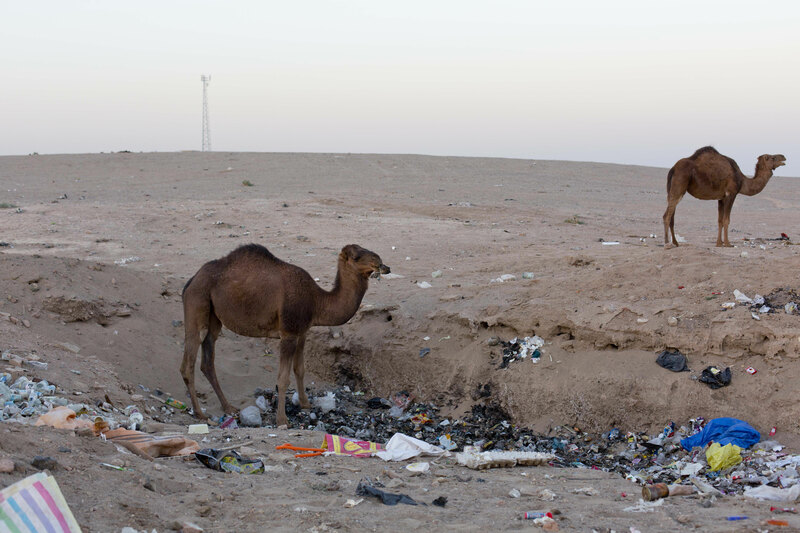 The dromedaries slowly move in search of delicate green fruits of morning dew but find the garbage instead.